Back in the episodes about the reputation experiment, I observed that there seemed to be fewer Horde quests than Alliance, at least for quests that gave reputation. I expressed my belief at the time that this didn’t apply just to reputation quests — overall, there were simply more things for the Alliance to do in the old world than there were quests for the Horde. The new achievement system has given me the proof. The achievement system, which will be introduced in a patch prior to the release of the Wrath of the Lich King expansion, introduces achievements for completing quests in the classic (pre-expansion) World of Warcraft, in the Outlands, and in Northrend. The quest achievements for Outlands and Northrend simply state “complete X number of quests in [Zonename]”, with no differentiation between Horde and Alliance. However, the classic quest achievements do make this differentiation, and it’s pretty interesting: Alliance are directed to complete 740 quests in East Kingdoms and 765 quests in Kalimdor, a total of 1,505 quests. However, the Horde are directed to complete a mere 580 quests in East Kingdoms and 715 quests in Kalimdor, for a total of 1,295 quests. This is not a “gimme” for the Horde. Yes, the Alliance will have to complete more quests, but the Alliance have far more quest density. The reason the Horde don’t have to complete as many quests is simple: the Horde don’t have as many quests they can do. Some Alliance may think this is unfair, but it’s truly an advantage for them. Greater numbers of quests mean more experience, more rewards, more reputation, and less work to find all of these things. Yes, they will have to complete more of them to get the achievement, but in some ways, this redresses the imbalance in the old world between the Horde’s relative dearth of quests. Alliance can get exalted with reputations up to ten levels earlier than the Horde can. They can actually level a bit faster due to the experience bonuses connected with quests. The fact that the Horde could, in theory, complete this achievement faster is small compensation, given that by the time you get up to this level, Horde are having to dig under rocks to find quests to complete. 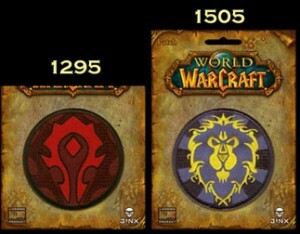 To me, this is an interesting historical note on Blizzard’s early assumptions about the game. 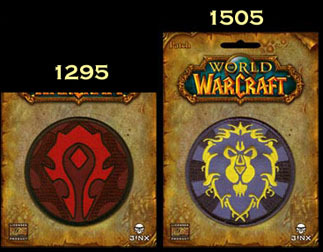 It’s clear that Blizzard did this not because they “hate the Horde” — they simply didn’t expect as many people would want to play Horde and thus didn’t put as much development into it. If the proportion of the achievement quests represents the differences in the actual numbers, there are 14% fewer Horde quests than Alliance quests. It is true that overall, there are fewer players choosing Horde than Alliance, and if the census at Warcraftrealms is at all accurate, there are approximately 11% fewer players on the Horde side than on the Alliance side. But does this mean that they deserve a less rich experience? Obviously by the time The Burning Crusade came around, Blizzard agreed that the answer was no, because they put the sides on greater parity and gave them at least approximately the same number of things to do. If nothing else, it’s an interesting look into the early psychology of the initial WoW development team — not to mention something of a vindication for me, since I got a fair number of emails from outraged Alliance players who told me I was nuts. As a 100% horde player I say: That blows!! As a 90% alliance player I say, does it matter? has anyone actually ever done off of them, or run out of horde quests while lvling? Sure maybe you ran out of quests in one or two areas and have to grind a bit before moving on the next area, but there are always other places with the same lvl quests to complete. « Episode 69: Pally roundtable and a new logo!